Earning cash rebates, cashback, or air miles is great because it gives you the feeling of getting something for free on your daily expenses. However, there are several ways to supercharge rewards on your credit card. What you should know is that banks in Singapore are willing to offer a lot more to earn your business. Hence, if you have a good relationship with your bank, you will earn various incentives. Here are BankBazaar Singapore’s tips on how to earn rewards on your card for less money. Based on your travel habits and preferences, you can choose the right loyalty programme. For instance, if you are a frequent flyer, you can sign-up for a frequent flyer programme like the KrisFlyer Miles Programme or Asia Miles Programme. As a member of the KrisFlyer Miles Programme, you can fly to Hong Kong, for example, with Singapore Airlines in business class and earn up to 4,782 KrisFlyer miles. You can even book hotels through online websites and earn KrisFlyer miles. Kaligo allows you to earn 12 miles for every S$1 spent on hotel bookings online. These air miles will be credited to your KrisFlyer account in 6-8 weeks after your stay. Choose a credit card based on your spending habits. If you are into shopping, apply for a card that offers cashback or reward points on this category. Citibank SMRT Card gives 3% cash rebate (in the form of SMRT$) on online shopping. Also, Citi Rewards Card offers 10 Rewards Points on online or offline purchases of bags, clothes, and shoes. You can even go for credit card that offers cashback on your daily spends. OCBC 365 Credit Card gives 6% cashback on dining, 3% cashback on groceries, up to 23% cashback on fuel at Caltex, and 3% on utilities. Simply charge all your expenses to your credit card to earn rewards. Welcome gifts or sign-up bonuses are the best way to earn air miles. Some cards award the sign-up gift as soon as your application gets approved, while others require you to spend a certain amount within the stipulated period of time. First-time applicants get the highest awards. However, existing customers of a bank can also make use of the welcome bonuses. For instance, if you apply for an HSBC Advance Credit Card and spend a minimum of S$600 within a month of approval, you will either get a Samsonite Astra 55cm Luggage or cashback of S$100. Existing customers will enjoy a cashback of S$50. On the other hand, HSBC Visa Infinite Credit Card offers 35,000 air miles as a welcome gift (in the form of 87,500 Reward Points). These air miles can be redeemed with more than 40 airlines. Some banks let you enjoy rewards points or air miles if you simply pay the annual fee of the credit card and renew your membership. For example, if you pay the annual fee of S$488 for OCBC VOYAGE Card, you will get 15,000 free VOYAGE Miles. Similarly, Citi Prestige Card offers 62,500 Citi ThankYou Points (equal to 25,000 Citi Miles) for renewing your credit card membership. Banks use credit cards to sell more products like savings accounts or home loans. You can get extra rewards just for having another account from the card issuer. UOB is a classic example. If you apply online for a UOB One Card and One Account and spend at least S$1,200 within a month on your card, you will enjoy a cashback of up to S$200. Paying your income tax can be rewarding as well. Simply charge these payments to any of your HSBC credit cards and earn 1 Reward Point for each dollar. These points can be redeemed for dining and shopping rewards or exchanged for air miles. Pay your rent, school fees, taxes, insurance premiums, condo fees, and other big recurring bills with your credit card via CardUp and earn miles, cashback, or points. For example, if you spend a total of S$125,582 annually, you will earn 138,140 miles, which can be used to buy 3 return business class tickets to Indonesia, Malaysia, and Brunei. 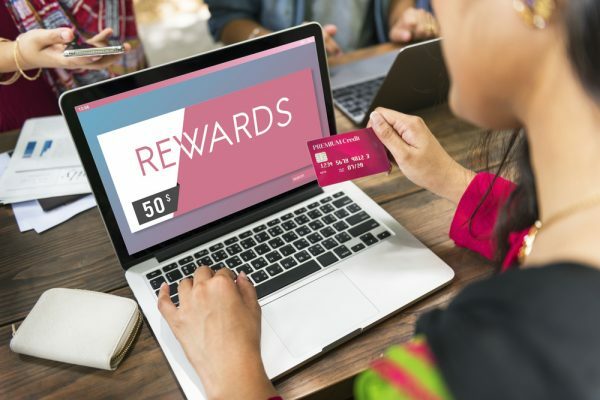 Keep a lookout on promotional deals and offers where you can earn cashback or reward points for only a certain time period. During festive seasons, many banks run special offers that let you enjoy extra air miles or higher cashbacks. This article was written by BankBazaar.sg. BankBazaar.sg is a leading online marketplace in Singapore that helps consumers compare and apply for financial products such as credit cards and personal loans. BankBazaar is the world's first neutral online marketplace for instant customised rate quotes on loans and credit cards. Why buy a HDB when you can buy a landed home? Find out how!